The NFL has suspended wide receiver Victor Bolden Jr. of the San Francisco 49ers for the first four games of the 2018 season for violating the league's policy on performance-enhancing substances. The 49ers issued a statement claiming Bolden said he unknowingly used a supplement that is on the league's banned substance list. "As a professional athlete, I take full responsibility for not verifying the ingredients of the supplement," Bolden said. "In the future, I will be much better educated when choosing what to put in my body. It hurts to know that I will not be on the field with my team for the first four games of the season." Despite the suspension, Bolden is eligible to stay with the team and participate in all offseason and preseason practices, and the 49ers' four exhibition games. Should he make the team, Bolden would be eligible to return to the active roster on Monday, Oct. 1, the day after the 49ers' Week 4 game against the Los Angeles Chargers. 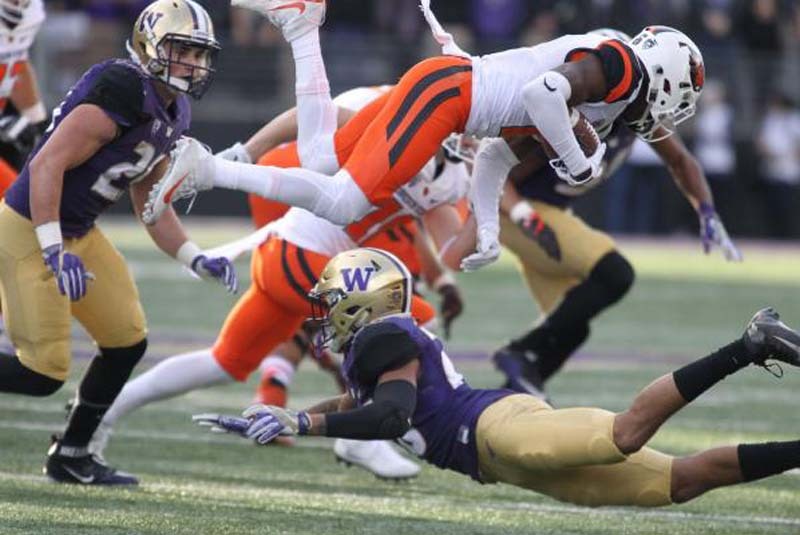 Bolden made the 49ers' roster as an undrafted rookie out of Oregon State in 2017 and appeared in nine games, mostly as a returner. He did not catch a pass, but averaged 20.8 yards on 19 kickoff returns. During the offseason program, Bolden had been competing with additions at wide receiver such as Dante Pettis and Richie James, among others, and the competition is expected to continue into training camp. General manager John Lynch of the 49ers said in a statement that Bolden made a mistake but learned a "valuable lesson."